What can’t Bela Fleck do? Or maybe the question is what can’t Bela Fleck do with a banjo? Aside from his history with the Flecktones, bridging and bending the idea of genre and fusion music he produced his first film, “Throw Down Your Heart”, a journey into the true origins of the banjo in Africa. The film also drew awareness to culture and struggles abroad, something rarely achieved through a concert film. One could say that Fleck is at a career high point in terms of actively creating and rigorously performing. Including his main band, and other projects, the man generally performs at least two hundred shows a year, many involving scholarly surroundings. 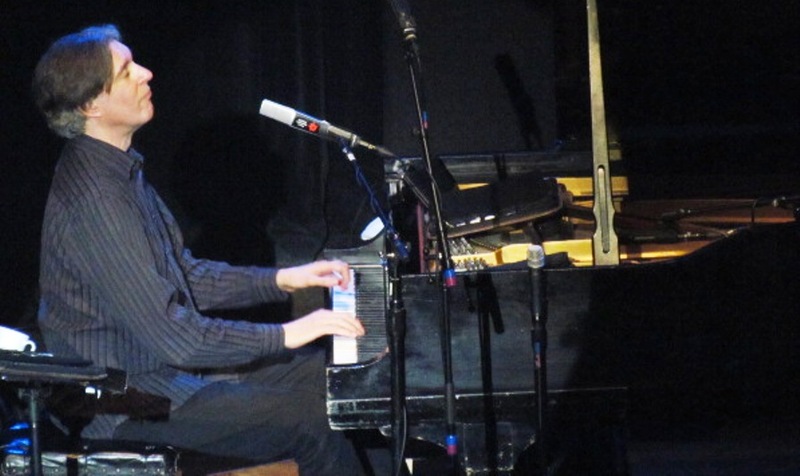 Last year he reunited with the original “lost” Flecktone, pianist and harmonica madman Howard Levy. In celebration of the reuniting they produced their best studio effort since 1998’s Left of Cool, an album of completely new songs. Rocket Science is a true return to the fundamentals for Bela Fleck, Bassist Victor Wooten, his older brother Roy “Futureman” Wooten, and Levy. Last year at the 38th annual Telluride Bluegrass Festival I had the pleasure of laying eyes on the “original” Flecktones for the first time. So much about their sound connected for me when I witness the band in their first lineup. All the material off of 1991’s Flight of the Cosmic Hippo finally materialized for me. Though I saw the band with sax-man Jeff Coffin a number of times, Bela’s Flecktones seem stimulated and at a creative apex with the new, well… old lineup. Every Flecktone is a virtuoso of their instrument(s). Bela was met true fame in the early 1980s after a successful self-titled solo album when he caught the attention of New Grass Revival’s Sam Bush and John Cowan. When he became a member for a band, which tragically lost its banjo-man at a relatively young age, Newgrass continued well through the 80’s with Fleck in the lineup. Though bluegrass was Bela’s bread-and-butter, he jammed with Victor and Roy Wooten for a one-off PBS special on the Lonesome Pine series, and something instantaneously clicked. Bela’s passion for music was really rooted in jazz. Being an incredibly loaded term, but for lack of a better collaborative explanation, the Wooten’s and Fleck created incredibly complex jazzy compositions. Victor Wooten has fairly achieved regard as one of the finest bass players in the world since then. His brother Roy created a guitar/drum hybrid fittingly called a drumitar. It has pickups that resemble that of a full drum and percussion setup. Anybody that knows squat about anything music knows about the Wooten’s, and their virtuosity. In addition to seeing the Original Flecktones at Telluride Bluegrass, I had the pleasure of attending last Friday’s Boulder Theater performance on behalf of Grateful Web. When I arrived I was pleased to see that for what could have been a fully seated performance (Boulder Theatre will go both ways, often for jazzier shows making it all or mostly seated), the entire floor was standing room. I got myself a cocktail and comfortably found my way close to the stage. When the houselights dimmed and the Flecktones entered the stage, the place filled out a bit, but everyone was righteous and respectful of personal space, and ready to rock out. Though Flecktones tunes old and new are all named and many of them recognizable, the mostly instrumental catalogue fuses together, like any great jazz performance, a whirlwind of soundscapes, themes, and phrases. 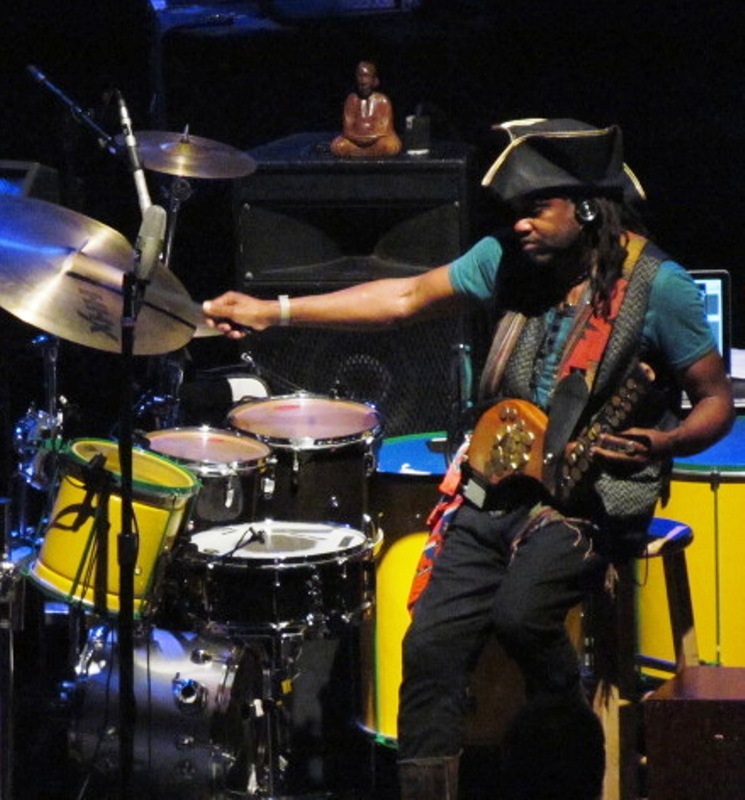 In the nearly three-hour performance, which contained no set break or opening act, the Original Flecktones worked out old and new tunes alike with a comic-like demeanor that no other act comes close to achieving so sincerely. The material off of the Rocket Science album blended effortlessly into the Flecktones catalogue, and was received with adoration and true enthusiasm by the crowd. Each Flecktone took their turn to introduce one and other, giving specific solo segments to each performer in the order of Victor, Howard, Futureman, and Bela’s epic instrumental saved for last. Roy and Victor had their moments of collaboration, but really each of the four men interacted so effortlessly on a constant that it’s really hard to name an act with better musical chemistry. Every Flecktones show reminds me how supremely wonderful it is to be in presence of such talented players. In addition to their mastery is their ability to flawlessly fuse unlikely instruments and off-kilter time signatures that they created to toy and challenge themselves with. There is no boasting of ability here. The material is complex and orchestrated enough to warrant no time for ego to overwhelm style. It’s no wonder that the early Flecktones were a consistent opening act for the Grateful Dead in the 1990s. They represented a similar musical spirit, of reinventing how their particular instruments were to function in a band. Just as Lesh and Garcia used bass and lead guitar to function completely differently than any rock band before, Fleck and Wooten understand how their instruments can take them to levels of new inventiveness and non-duplicable ideas. With Howard Levy, a grand piano and grand harmonica player, the band is back to what originally brought their three meatiest albums and developed their sound. With Levy back in the lineup the band is creatively right where they left off. For those who have seen the Flecktones with Jeff Coffin, you must see this new lineup. It’s a déjà vu experience and a special treat to see a band go back to its founding lineup, especially one that was so creatively charged from the beginning. The original Flecktones are touring extensively in the mid-west, south and out east, so there’s no reason to miss them. I look forward to seeing Bela at Telluride this summer, and congratulate the boys on being at a creative peak with truly worthwhile new material.